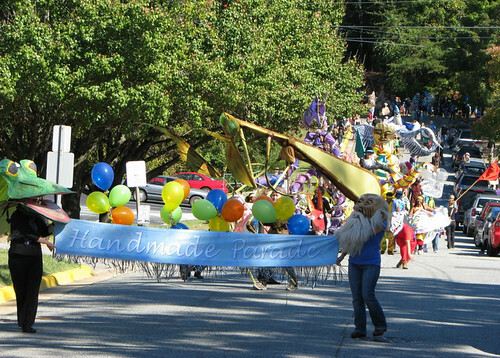 Hillsborough Handmade Parade This Saturday! 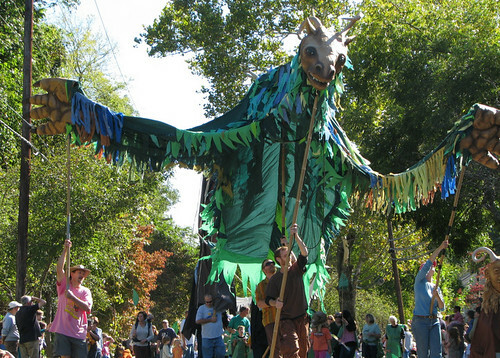 The Handmade Parade returns to Hillsborough this weekend on Saturday October 20th at 2pm. 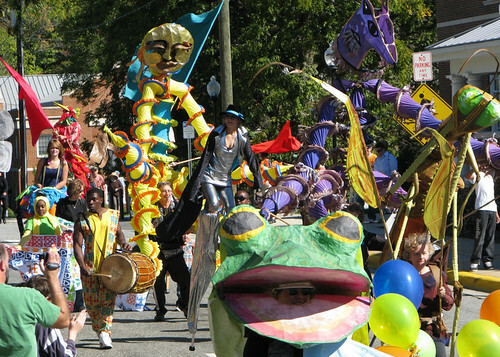 The parade is organized by the Hillsborough Arts Council and fills the streets of downtown Hillsborough with giant puppets and costumed creatures marching along to festive music. This is one of my favorite Triangle events and I highly recommend you check it out if you can. It is a short parade, but great fun for the entire family! The parade is a described as a ”walking theatrical performance. A spectacle of art, creativity, and public theatre”. Its purpose is to foster community involvement in the arts through participation in every aspect. The informal atmosphere and hands-on character of the experience allows members of the community to work directly with artists and each other while gaining confidence in their own abilities. 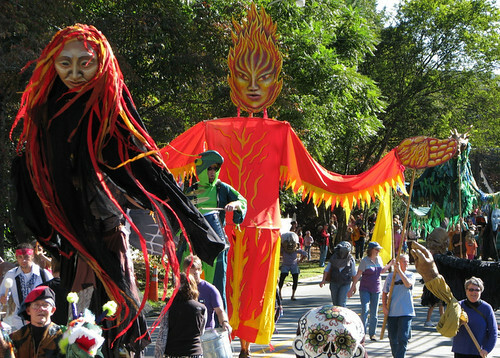 The parade features participants in handmade costumes of snakes, frogs, and other wildlife creatures along side larger than life large puppets of animals and butterflies supported by four to six people marching them along the parade route. The parade concludes on a grassy hill in front of the Historic Burwell School where participants jam to the rhythm of African drum music for a final celebration dance. This is fabulous community event and I look forward to participating in it again this year. To see more great photographs from past parades check out Don Moffitt’s flickr album or you can view a video from the 2010 parade below. 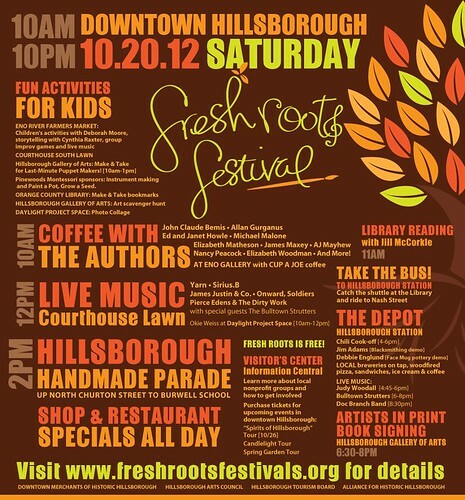 The Fresh Roots Festival will also be happening on Saturday as well with continuous activities all day throughout downtown Hillsborough including 5 free band concerts from noon until 10 pm. You can get more details by visiting www.freshrootsfestivals.org.